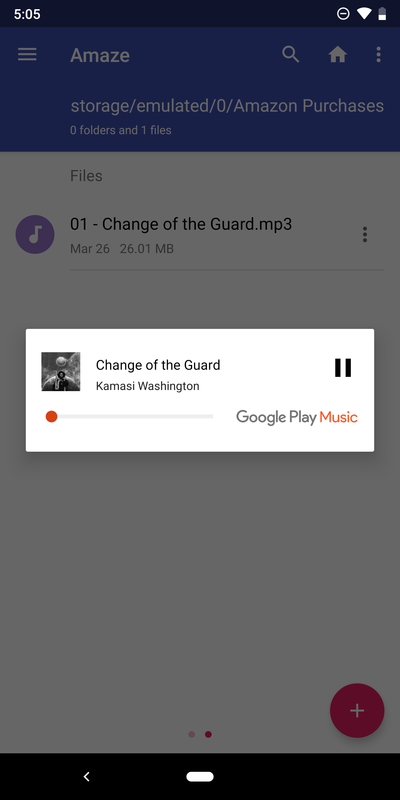 Our friends at 9to5Google reached out to let us know offline playback may have appeared as early a v3.03, though that version doesn't exhibit the behavior in our tests. Local file playback via intents in Google Play Music (left), and YouTube Music (right). The new feature was delivered as part of the v3.07.52 update, and it's also present in the current v.3.07.54. 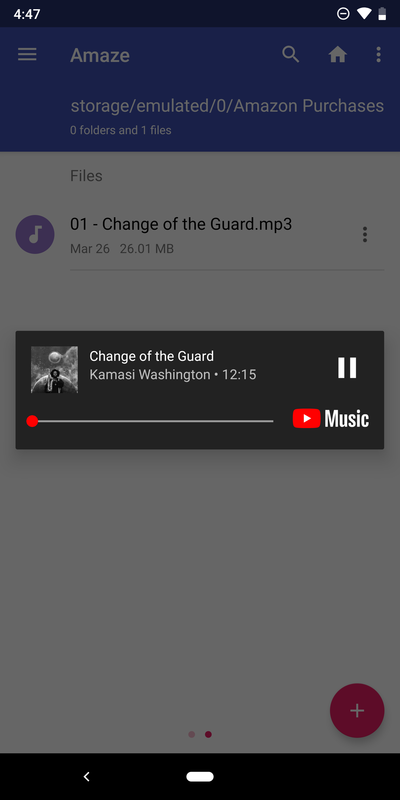 In typical Google fashion, YouTube Music's generic and undetailed changelog makes no mention of it. 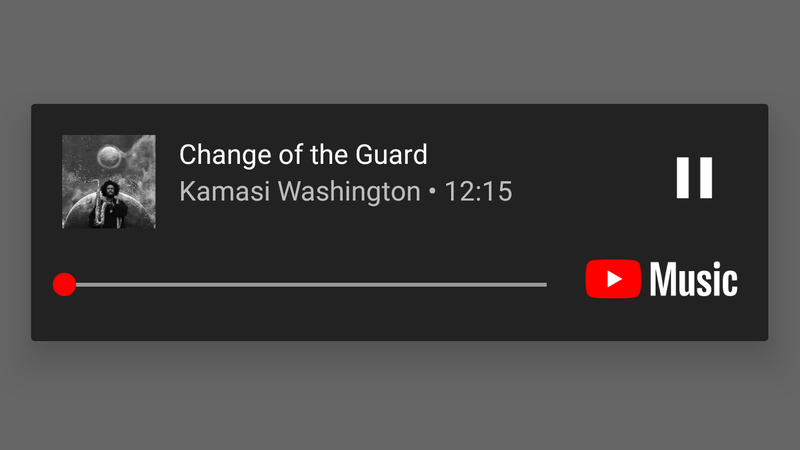 Our friends at 9to5Google reached out to let us know offline playback may have appeared as early a v3.03, though that version doesn't exhibit the behavior in our tests. The precise version this may have been delivered with is indeterminate, but either way, it occurred within the last month or so. 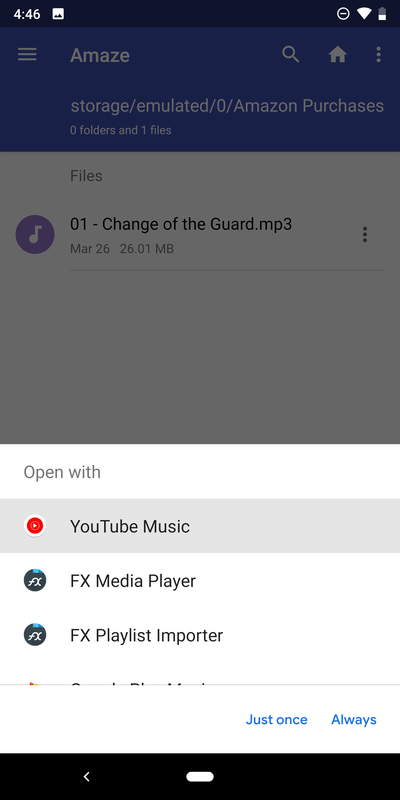 You can download the latest version of YouTube Music, which includes this extra media file playback functionality, over at the Play Store or APK Mirror.